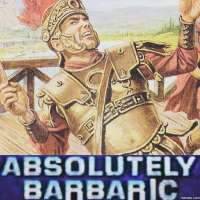 So Adidas is removing the three stripes from their jerseys? No, they’re on the side again. Adidas has done it before; they rotate the location around. Don't know how often footyheadlines is wrong, not often I believe, but I'm skeptical. The orange is yellowed and paler than the official color, though that could be this particular image, and the flag tag and neck text are missing. I've never seen that navy-orange-navy stripe before. Although it does follow their guidelines that orange must never touch sky blue. Footyheadlines often creates their own graphics based on designs they get leaked. So I wouldn’t worry about the lack of jock tag, hanger effect, etc. I hope this is it, I love a racing stripe. Pretty good look. I hope they do the navy shorts again because I thought that look was CLASS. Have been saying I wish they'd do more with the orange but I think now it's pretty firmly an accent color for them. Mostly excited we're finally into leak season. Yeah, it always has been. Although our last change kit had a fair amount. 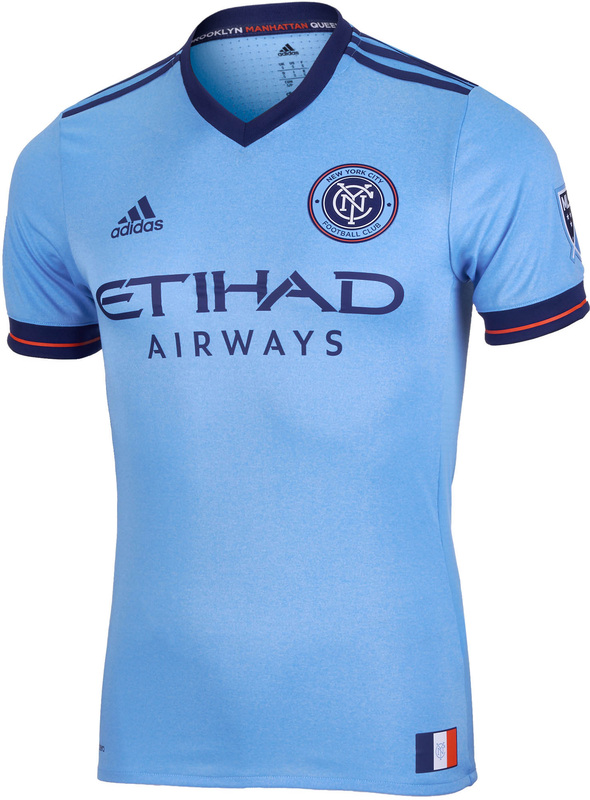 One of the things I love about NYCFC’s branding is that orange never touches sky blue. Well, almost never. In all but a very few cases, the orange is bordered by navy for maximum contrast. Chicago is pretty nice. No sponsor? You really have to appreciate the effort MLS puts into their aesthetics game. Almost every kit looks good, no real repeat looks (think of West Ham, Burnley, Aston Villa), sponsors tend to look pretty good with no betting, payday loan, hard-liquor, or tobacco companies. Most teams have nice stadiums for their size. It's really hard to complain, except for the on-field quality. Most of last years new gear were retreads of World Cup uniforms. The year previous was much better as far as originality. It appears to be the same pattern as the sleeve cuffs on the current shirt (which may not have the orange perfectly centered but otherwise identical). Maybe they're making the navy band with orange line inside their "thing"? 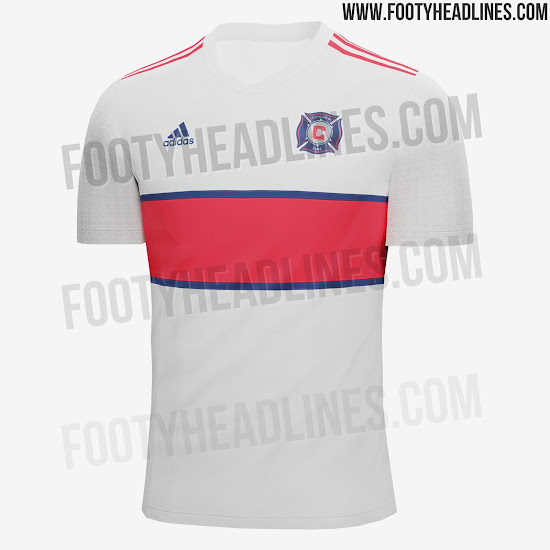 I like Chicago's, but I was such a huge fan of their grey strip they're replacing that it's a bit underwhelming only by contrast. I think it looks very clean though, and I really like how they've brought back the broad chest stripe. 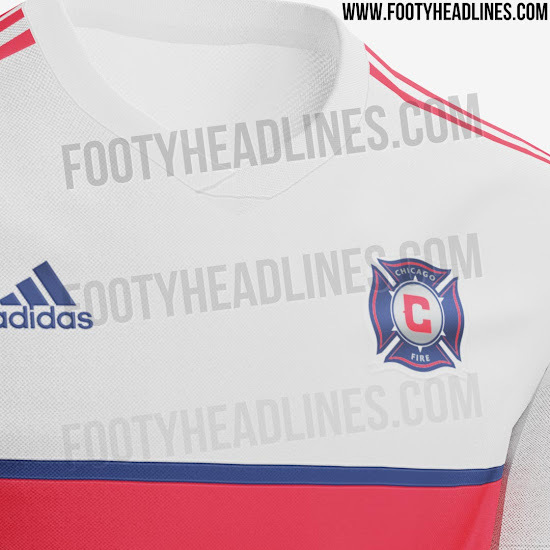 And with the lack of sponsor on the mockup, is that just a design thing with that specifically because they don't know yet, or is Chicago changing kit-sponsors for 2019? I think that's better than doing the orange on sky blue. 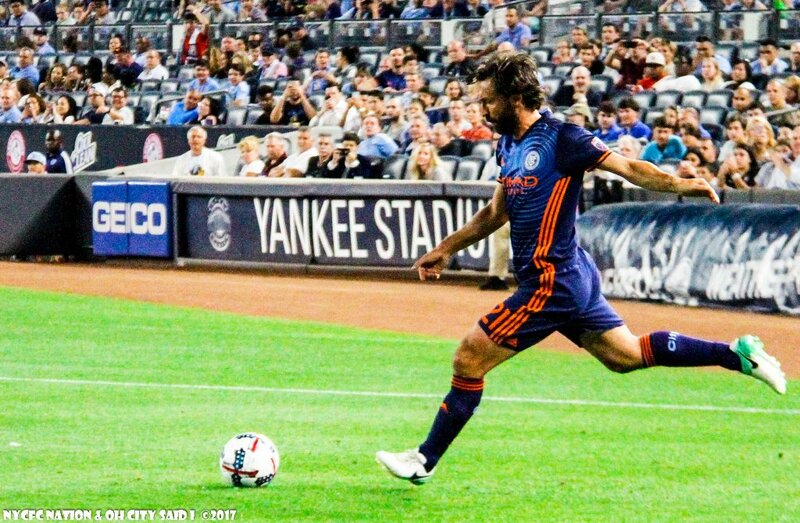 I was really into their last away kit though because the navy base made it easier to use more orange in the scheme. Kind of hoped they'd do more with it (purely as a Mets / Knicks fan, although the club is owned partially by the Yankees so maybe I shouldn't want them to comp the look). The Houston Dynamo picked up a jersey sponsor in MD Anderson Cancer Center after going sponsorless last season. I like the fact that it's more than just a partnership, with them banning tobacco from the stadium. Big fan of that, and the message of that. But, as a kit sponsor, I don't know how that looks. Not that it matters too much since, again, big fan of the message. Wonder what it will look like on their new home strip. Seriously. I was more shocked that they hadn't at this point. Atlanta and Portland have two of the best primary kits in the league right now, so it’s a shame we likely won’t get to see both of them in their primaries in the final. The only way I could see the league allowing the Timbers to wear their primary green in the final is if they pair the green jerseys with white shorts and socks, something they haven’t done at all this season. I’d be willing to bet they’ll just go all-white again. Even if that’s the case, it’ll still be a pretty good looking matchup, just as it was back in June. FC Cincinnati will release their kits according to the team in mid February, which means I wont be getting what i want for Christmas.